EOS brought game-changing standards to crypto. Meet the EOSISH Token. Blog / EOS brought game-changing standards to crypto. Meet the EOSISH Token. The total number of deployed Smart Contracts: 1200. Neo, Bitcoin and EOS Smart contracts have recently become popular. MyWish released smart contracts on these popular platforms. We tried to get the attention of the larger community and platform support from the big players during our Smart contract launches on new platforms. The competitive nature of the Blockchain platforms has put us at a disadvantage. Although $Wish supports and promotes Smart contracts on multiple platforms, there was some reservation from a few platforms in openly supporting a project with a native ERC20 $ETH based token. Recently we have received a lot of support from the EOS community and Team. MyWish team has decided to address the problems we ran in with other blockchain projects. We have decided to take a bold new step to get closer to the EOS community and Project. 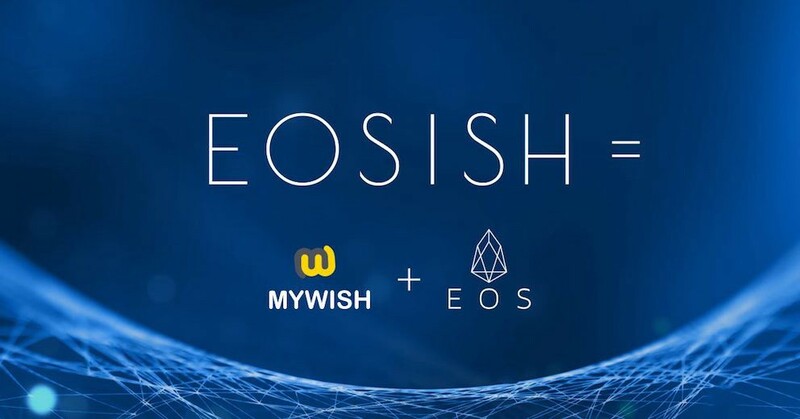 The MyWish team has decided to launch a new token specially for the EOS Smart Contracts. On the 12th of September 2018 MyWish Smart Contract Platform releases EOSISH — an Airdrop Token which automatically values. A separate domain was created in order to identify it as an important, serious project which has no other competitors. Furthermore, it is a sadly common thing for cryptocurrency holders to start a civil war and fight over their “cryptolitical” opinion on which currency is worth more attention. Due to the MyWish Platform partnering with many other blockchains, that was the one and only right decision. EOSISH is the second to none. So what is EOSISH? It is a Token which is used specially to pay for Smart Contracts creation on the EOS ecosystem. The EOS Blockchain has a potential to scale to millions of transactions per second. DPoS (Delegated Proof of Stake) modification is responsible for the instant transfer of cryptocurrency. There are 2 Chinese government rankings created by CCID and CSTC, which have ranked the EOS Blockchain above Bitcoin and Ethereum. Simply put, EOS is the most powerful blockchain network in the global sense. Why is MyWish launching EOSISH? The latest debates around the Ethereum blockchain have been concerned with the central problem of scaling and increasing the speed of the transaction verification process. Meanwhile, EOS put out a statement about being the fastest blockchain. Thus, we choose to believe in the innovational EOS as the one and only viable competitor to Ethereum. We undoubtedly believe in the EOS’s infrastructure and want to encourage other people to use this blockchain by providing them with the most usable and reliable Smart Contracts. EOSISH is the token you can use to pay for their deployment. EOS enthusiasts no longer have to pay for the EOS related service in ETH. The EOSISH Token takes this responsibility. These are the currently presented ways to spend your EOSISH Tokens. Please, mind that the Platform accepts EOS Tokens as well. To create your EOS account. In the beginning of June 2018 EOS released its own blockchain. This caused the EOS token to migrate from the Ethereum blockchain to the EOS decentralized software. This led to struggles in obtaining an EOS account. The process of creating an EOS account is a real quest in and of itself. Until recently, people had to deal with a middle man who was already registered in the EOS decentralized software. A MyWish Smart Contract for your EOS account will take only 5 minutes to complete. To create your EOS Token Smart Contract. The Token Smart Contract is supposed to be used for creating a personalized cryptocurrency. This, in turn, can be used for running your own ICO or any other blockchain project. Personalized cryptocurrency could also be used for sale, distribution or crowdsale programs. The platform gives you a huge opportunity and all the rest is a matter of your crypto potential. The ball is in your court. To create your EOS Crowdsale Smart Contract. The EOS Crowdsale Smart Contract is a Smart Contract specially made for ICOs. It was created to develop, distribute, or sell tokens that serve as funds raised through an ICO. 10% to telegram channel/bounty participants. Instructions for getting EOSISH tokens will be distributed later. This EOSISH Token is part of a global projection in which EOS blockchain will soon bring game-changing standards to cryptocurrency standards. MyWish are proudly announcing about the EOSISH project which has officially started today. Please, send us your feedback and comments. And welcome to the infrastructure of the EOS Smart Contracts, based on the most promising blockchain in the world.